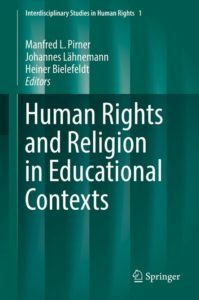 Series Editors: Bendel Petra, Bielefeldt Heiner, Frewer Andreas, Pirner Manfred L.
This book adds impetus to the nexus between human rights, human rights education and material reality. The dissonance between these aspects is of growing concern for most human rights educators in various social contexts. The first part of the book opens up new discourses and presents new ontologies and epistemologies from scholars in human rights, human rights education and human rights literacies to critique and/or justify the understandings of human rights’ complex applications. 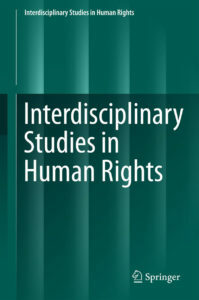 Today’s rapidly changing social contexts and new languages attempting to understand ongoing dehumanization and violations, put enormous pressure on higher education, educators, individuals working in social sciences, policy makers and scholars engaged in curricula making.The second part demonstrates how global interactions between citizens from different countries with diverse understandings of human rights (from developed and developing democracies) question the link between human rights and it’s in(ex)clusive Western philosophies. Continuing inhumane actions around the globe reflect the failure of human rights law and human rights education in schools, higher education and society at large. The book shows that human rights education is no longer a blueprint for understanding human rights and its universal or contextual values presented for multicomplexial societies. The final chapters argue for new ontologies and epistemologies of human rights, human rights education and human rights literacies to open-up difficult conversations and to give space to dissonant and disruptive discourses. The many opportunities for human rights education and literacies lies in these conversations. Das Buch zielt zwar auf alle Arten von Menschenrechten. Der Untersuchungsgegenstand ist jedoch bewusst auf die Kernarbeitsnormen der ILO beschränkt. Das Werk berücksichtigt gesellschaftsrechtlich verbundene Unternehmen ebenso wie die Möglichkeit einer Regulierung zum Schutz vor Menschenrechtsverletzungen im Zusammenhang mit wirtschaftlichen Aktivitäten von Unternehmen in globalen Lieferketten. Das Buch untersucht privatrechtliche und völkerrechtliche Strategien. Anhand ausgewählter Ansätze kommt die Autorin zu dem Ergebnis, dass keine rechtliche Notwendigkeit für den gegenwärtigen Zustand eines defizitären Schutzes vor Menschenrechtsverletzungen im Zusammenhang mit wirtschaftlichen Aktivitäten von Unternehmen besteht. Die Autorin legt dar, dass Defizite der Diskussion auch darin bestehen, dass regelmäßig eine Reflexion der Durchsetzungschancen und -möglichkeiten der an sich notwendigen rechtspolitischen Strategien fehlt. contribute to human rights education?These are the core questions addressed by this book. Stimulating deliberations, illuminating analyses and promising conceptual perspectives are offered by renowned experts from ten countries and diverse academic disciplines.